Bits n Bobs: May 4 - Spring? Yes it is May & yes if you are in the northern hemisphere you would expect to see bulbs flowering but I live in the southern hemisphere & really don't expect bulbs to flower until September. 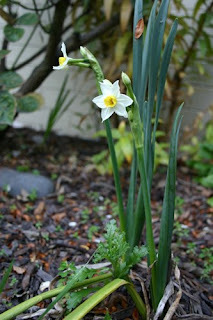 However this one has decided that it's sick of wintering in the ground & has come up to brighten my garden.